A Las Vegas native, Anthony Ruiz is the senior advisor of Government Relations and Community Affairs for Nevada State College. Ruiz is responsible for working with local, state and federal government officials and their staffs to successfully execute the College’s mission and Board of Regent approved initiatives. He is also responsible for helping build productive relationships within the business community and with other key local and state stakeholders to help ensure the strategic initiatives of the College are achieved. 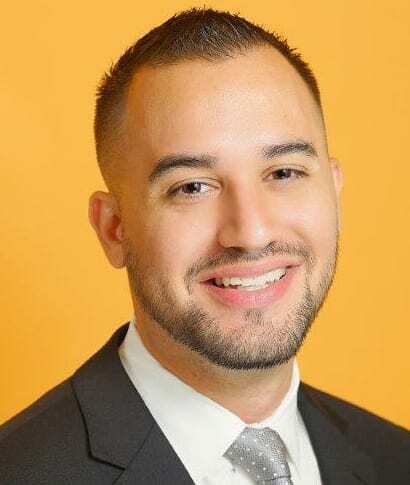 Before joining Nevada State College in 2018, Ruiz worked at the Las Vegas Global Economic Alliance (LVGEA) where he held the role of senior director of communications and public affairs. There he managed marketing, public relations and government affairs initiatives while building strategic partnerships to further the LVGEA’s mission of growing and diversifying the regional economy of southern Nevada. Ruiz currently serves as founding board member and secretary of the Nevada Economic Development Association (NEDA). He received a Bachelor of Arts degree in rhetoric and media studies and political science from Lewis & Clark College in Portland, Oregon, where he currently serves as a member of the College’s board of alumni. Ruiz is also a graduate of the Economic Development Institute at the University of Oklahoma and Desert Pines High School in Las Vegas. In the last three weeks, we learned about the poliovirus and Rotary International’s (“RI”) efforts to eradicate it. Today I would like to discuss what remains to be done. For RI’s mission to be successful, we have to stop the transmission of wild poliovirus in the 3 remaining polio-endemic countries: Afghanistan, Nigeria, and Pakistan. We also have to stop transmission of polio from those countries to the rest of the world. To accomplish this, RI must keep other countries polio free until we eradicate it in Afghanistan, Nigeria and Pakistan. As we learned from the first January video about polio, most people who contract polio are unaware that they have it. Polio can arise anew in parts of the world that are polio free from a traveler who did not know they were infected. Polio is merely plane ride away from any country in the world. RI will continue to operate and rely on the polio surveillance program and the existing laboratory network to stop outbreaks caused by travelers. Additionally, RI will continue to operate its vaccination programs for children in high-risk countries to protect against traveler transmitted polio. We need to vaccinate them to make sure their countries remain polio free. We can’t stop until we can ensure that all children are protected against polio. Polio eradication will be one of history’s greatest public health achievements. Polio will follow smallpox to become only the second human disease eliminated from the world. Every dollar we give as a club is matched 2:1 by the Bill and Melinda Gates Foundation. Please donate to the Polio Pig as it makes its rounds through the club. Together we can and will eradicate this blight from the face of the earth. Ted was joined by his lovely wife Diana. Ted McAdam led us in song. Sargent At Arms Arleen Sirois and Bob Werner present our visiting International Rotarian with our banner. Returning member Kathy Mahon won the Lawry Bucks. President Jim Kohl presents our speaker Terry Jicinsky VP of the LVCVA with our “Share What you Can Award”. President Jim did not miss the Pig feeding. PP Steve Casey is a lucky man to be with us after his ski accident. Get well soon Steve! PP Randy Donald enjoyed the meeting with his wife Sally. PE Jackie Thornhill gave our invocation. PE Jackie poses with a returning member Rose Falocco. Many members fed money to our Polio Pig. Kirk Alexander our RYLA Chair discussed his RYLA experience. Kirk’s guest James Butschek missed his chance at the Joker. Jerry Sennes invited us to his post highway pickup buffet. Ed Lepere our Lawry’s host talks with LVRF President Paul Kruger. Deb Granda talked about our upcoming Cuisine and Octane fundraiser.